Capturing your memories with my camera so you'll have them forever. We'll spend an hour together playing at your home, a local park or at my studio to capture your family in your natural spirit. 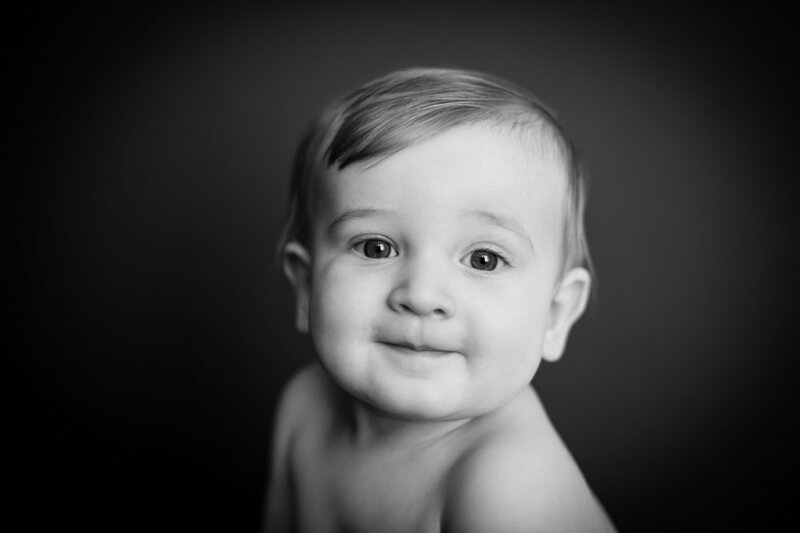 A special portrait package with three portrait sessions that document your baby's first year. Professional headshots shot in studio or on location. Perfect for websites, online profiles, promotional materials and more. I picked up my first real camera when I was in high school. It was my mom and dad's 35mm Olympus OM 10 (I still have this camera) and I spent any money I made from my part-time job at Target on film and processing. Luckily I was in theater so all of my friends loved being in front of my camera - I had no trouble finding models. I would invite my friends over on the weekend to have photo shoots. This is where my flame for photography was lit. While studying at CU Boulder I changed my focus from musical theater and worked on my degree in Fine Arts. After graduating in 2003 I quickly started shooting portraits for friends and their friends. I took the big leap and moved into my first studio in 2008. I feel so fortunate to have found my passion and can call it my "job". There's nothing I’d rather do than take pictures of couples in love, babies who coo, toddlers who uncontrollably belly laugh, and families who play in front of my camera. Thanks for reading a little about me...I'm looking forward to getting to know you too! *please note: I’m away from the studio on Maternity Leave through August 2019. I will reply to your message shortly after I return. Thank you! Your message has been sent to my email kellie@kelliephoto.com. I’ll get back to shortly. My studio is located on the Artists Block at Belmar. Free garage parking is available just north of my studio or there is metered street parking right out front. You'll love your photos, I promise! Kellie has this amazing ability to capture the personality of your children in a photograph. She's simply the best. She rolls with the punches of shooting hungry newborn babies... and can bring out the genuine belly laughs of a sassy three-nager. And she's just fun to be around. You'll love your photos, I promise! My goodness where do I begin... Kellie does such a beautiful and professional job with all her photos. Our session did not have the most ideal weather conditions but you would never know it from the finished product. We will have her take our family photos as long as she will do them. Kellie is one in a zillion. Kellie is one in a zillion. She puts everyone at ease and makes the session so fun!! She is our family's photographer for life! I LOVE your work and LOVE working with you. Kellie, I can not put into words how thrilled I am that you will be our photographer for this occasion. I LOVE your work and LOVE working with you. You are a treasure!!!!!! We had the best possible experience with Kellie. We had the best possible experience with Kellie. I highly recommend her especially if you have children. She captured our family beautifully and the finished product was beyond our expectations! Thank you, Kellie!